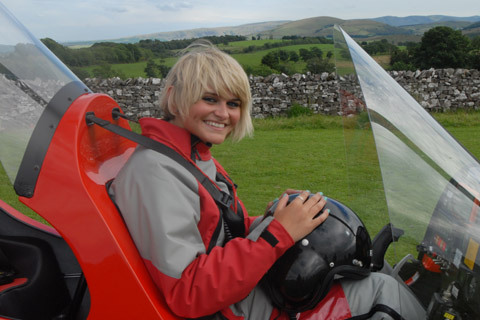 You will experience the sheer thrill of flying through and over some of the most stunning countryside the UK has to offer.This includes the Lake District, Yorkshire Dales, Cumbria’s beautiful Eden Valley and Hadrian’s Wall. 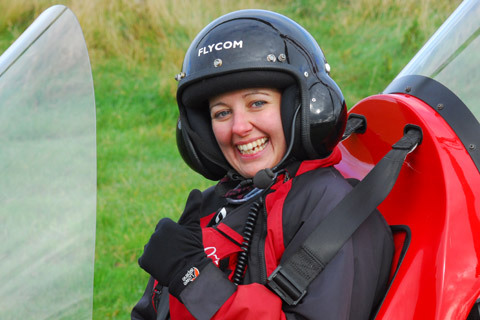 Whether you want to experience the exhilaration of being in control, or you just want the instructor to fly for much of the time, leaving you free to take in the beautiful countryside – it’s entirely up to you!. 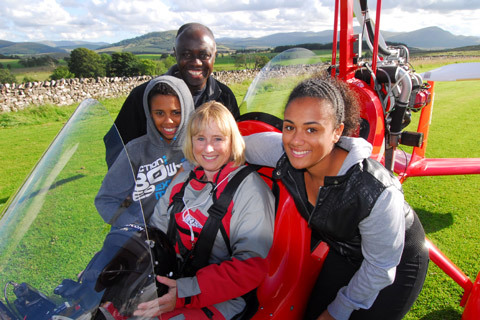 You will be flying over some of the most breath-taking scenery in the English Lake District. Our airstrip at Berrier is only five minutes flying time away from both Ullswater, Derwentwater and all other Lakes are well within range. 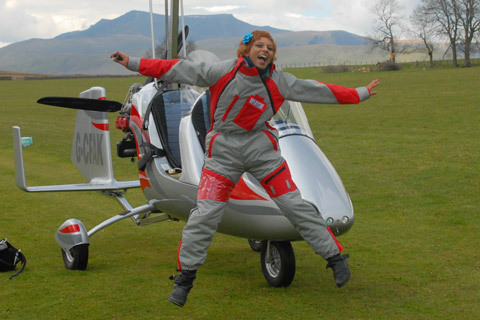 – advanced gyrocopter flying courses and (PPL) full course of training. 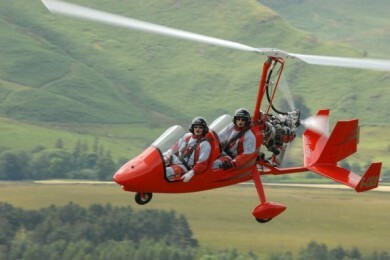 We also offer aerial photography and new and second hand gyroplanes for sales as well as accessories. The Lake District was inscribed as a UNESCO World Heritage Site in early July 2017. It is now part of a special family of iconic places across the planet, like the Taj Mahal, Machu Picchu, Easter Island, the Barrier Reef, the Grand Canyon and many other world famous locations. 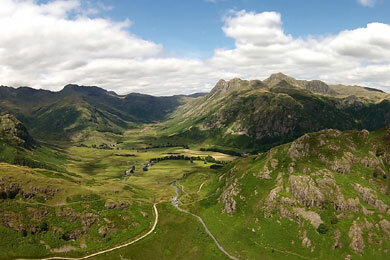 What better way of seeing a World Heritage Site than by air! 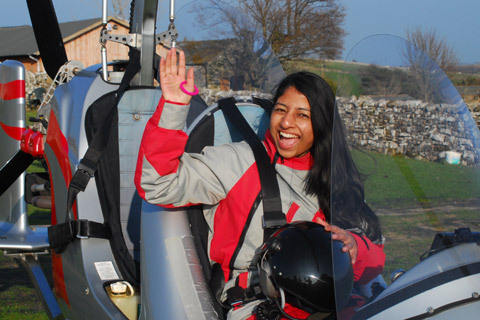 Fly in a Gyrocopter over some of the most stunning countryside in the UK. Roger Savage Photography is a company with a keynote of versatility. 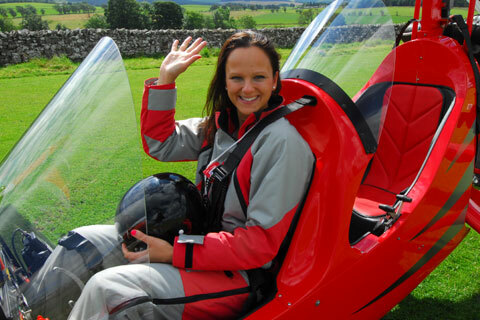 Here are a few of the many people who have had a fantastic experience in our gyroplanes. Roger has been a pilot for more than 40 years with over 9,000 flying hours experience – so you’re in good hands! 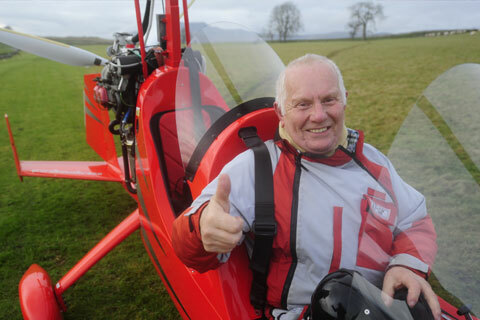 Apart from being a gyrocopter pilot and long-time instructor, he’s also an aeroplane and helicopter pilot. He’s a former helicopter flight instructor and a previous winner of the precision flying section of the British Open Helicopter Championships. 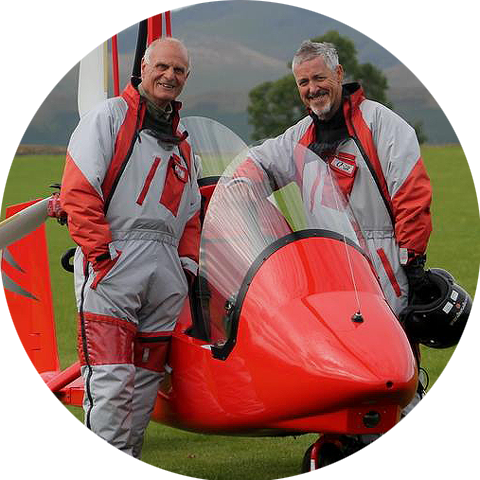 Here Roger is pictured with Griff Rhys Jones who he recently flew around the Lake District for a new television series. 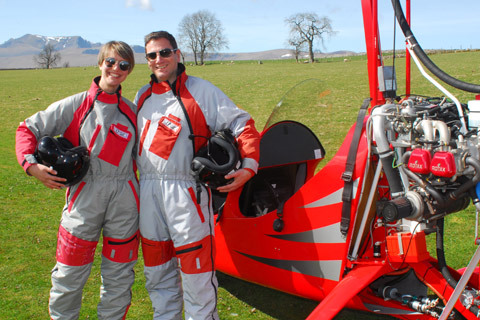 We’re based in the Lake District so as soon as we’re airbourne you get a bird’s eye view of stunning scenery from our twin seated gyroplane. 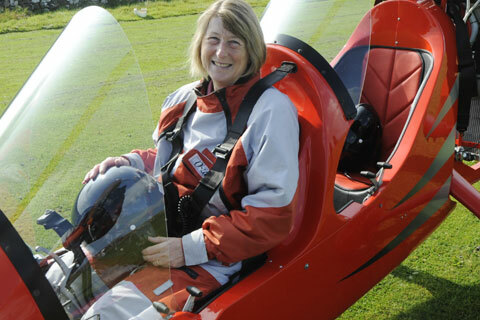 All a gyroplane needs is a field with a reasonably smooth surface from which to operate. They are essentially,very easy to fly – particularly compared with the helicopter or plane. "It honestly was one of the best experiences I've had so far! You made it very enjoyable." 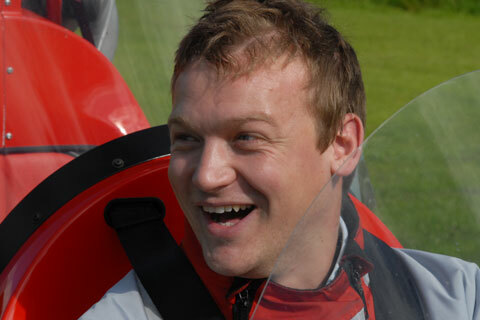 "Hi Roger, thanks for an amazing flight yesterday.........I'm still saying "it was AWESOME"....."
"Amazing experience!! 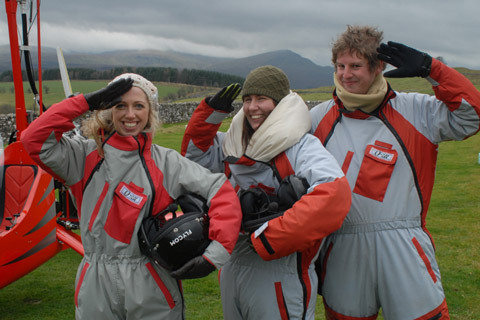 Thank you so much Roger for this dramatic induction into the Lake District." "Roger Savage is not only an awesome pilot but he is beyond kind and friendly"
"We had a blast!! Thanks Roger!" 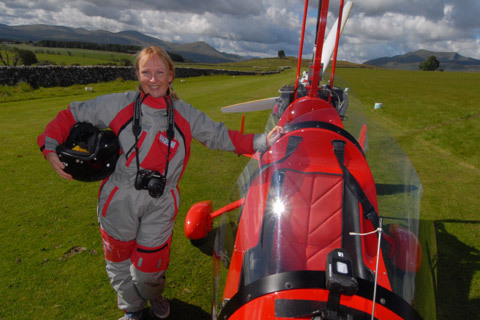 Lake District Gyroplanes operates from our own airfield, inside the Lake District National Park at Berrier which is just 6 miles from Keswick and Penrith and just north of Ullswater.